Concept Art and Design of Travis Lacey - Ravenseye Studios: New cintiq feels good. New 22 inch cintiq to fill the void! 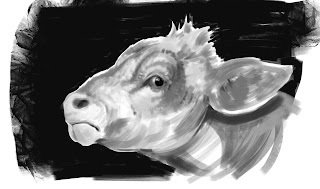 15 min cow sketch to test it out!